Admittedly, to write a novel all you need is a pen and paper, and to paint a picture all you need is a canvas, brushes and oil-paints. But works of art that belong to the realm of “new media” are much more complex, requiring all sorts off pre-built assets. For a film, for example, you need music, stock footage and post-production effects; a video-game requires graphics, music (again), sound effects, and fonts; and so on. What is a modern-day creator to do? If you need a soundtrack, take a look (listen?) at the two ccmixter sites. 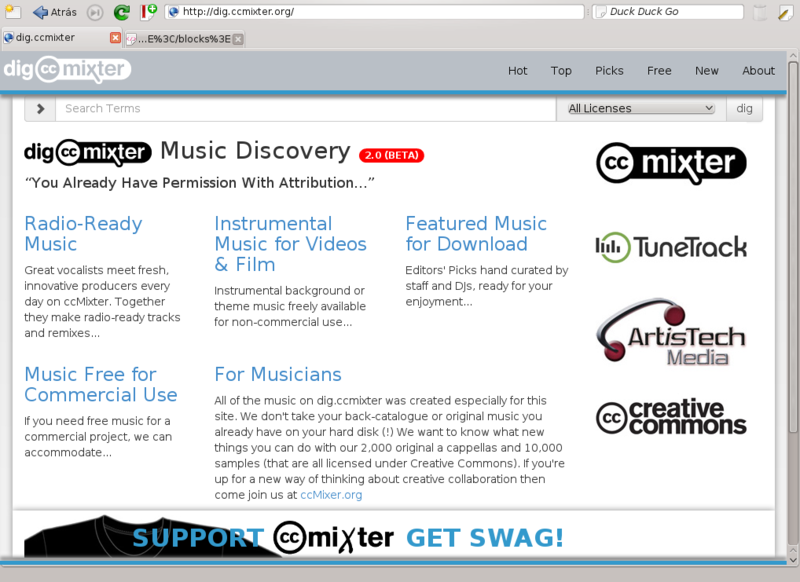 CCMixter and Dig.CCMixter contain hundreds of mixes, samples and tracks free for use in your work. All licenses are some form or another of CC and are clearly indicated alongside each track. The overall quality of the tracks is superb. A great place for sound effects is FreeSound.org. It contains an evergrowing library of clicks, dings, buzzes and whirs. 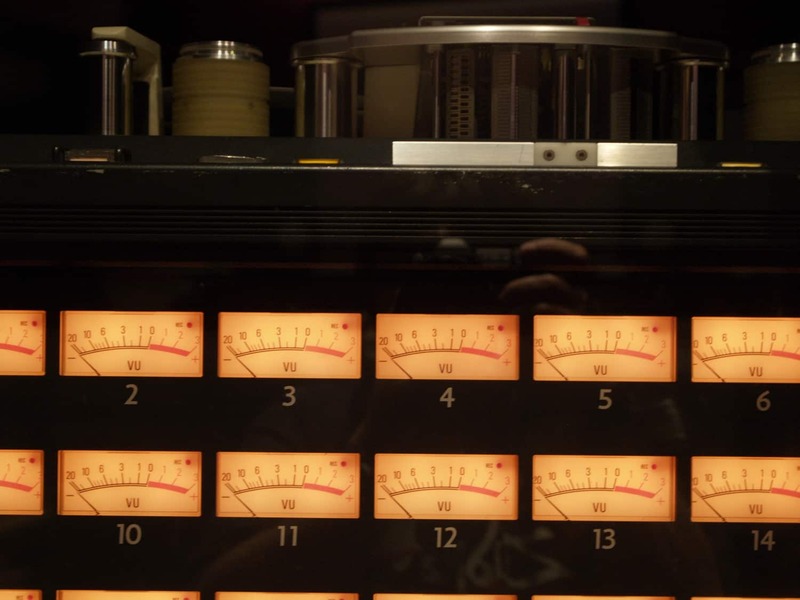 Really useful for postproduction sound and mixing effects. The breadth and variety of sound clips on this site is astounding. 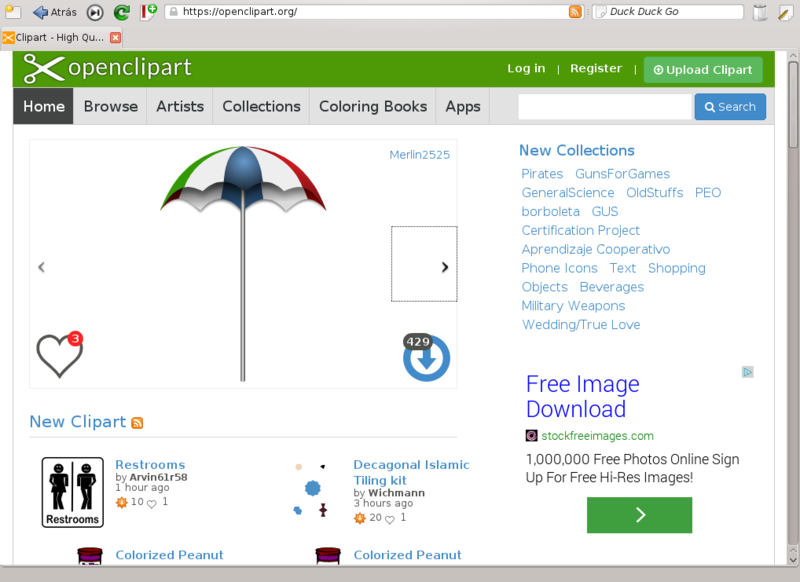 If you’re looking for graphics, checkout OpenClipart. Although a lot of the media is a bit hit and miss, the continuous flow of new graphics guarantees a wide selection from which to choose from. You can also try the Open Game Art Bundle that, apart from graphics, includes music and sound effects for game artists. When it comes to video, it is often down to individual cinematographers to offer their work for free use. The very talented Johann Mynhardt, for example, offers a lot of his professionally shot footage under liberal CC licenses. An also excellent resource is Mitch Martinez’s site. Martinez offers high quality, HD clips in the download section that can be used in your work. Finally, the Internet Archive is a mammoth resource for everything Public Domain (or with published under a liberal free license) be it video, audio or text; although it can be a bit hard to find what you need due to the sheer volume of files available. There are, of course, many more resources you can draw from (if you have a favourite, share it with us in the comments! ), but the above at least should get you started. Also, if you a site is open and accepting submissions from users, consider helping others by uploading your own material. If you have a few dollars to spare, you can also help each of these sites by donating to them and helping to keep them open.